Shane Zahn is the Director of Safety Initiatives for the Mpls Downtown Improvement District (DID), a non-profit focused on making downtown Minneapolis a vibrant and attractive place for residents, businesses, and visitors. Zahn’s role and focus include violent crime, livability or quality of life concerns, chronic offenders, crime prevention through environmental design, and emergency preparedness & response. Prior to activating 24/7 Software as an incident management system, DID had no software in place to conduct effective outreach management. After deploying 24/7 Software, Zahn was able to enhance his street outreach collaborative and also utilize the platform during their Super Bowl LII collaboration with security organizations. The results from implementation were remarkable, from outreach to the Super Bowl with 8,134 service calls and engagement opportunities via outreach organizations to an average of 80% participation rate for the security checks during Super Bowl LII. The Mpls Downtown Improvement District (DID) is a business-led, 501(c)(6) non-profit with a mission to make downtown a vibrant and attractive place for recruiting and retaining businesses, employees, residents, shoppers, students and visitors. Before engaging 24/7 Software, the DID knew they needed coordinated operations and communication from multiple organizations who provide social service street outreach in downtown Minneapolis. Any software solution considered for usage by Zahn’s organization needed to help in three critical areas: 1) Collaborative efforts with multiple social service organizations which provide street outreach in downtown Minneapolis, 2) Real-time communication between street outreach and the DID Safety Communication Center, 3) Real-time trend analysis and reporting. 24/7 Software helped to achieve this and more. 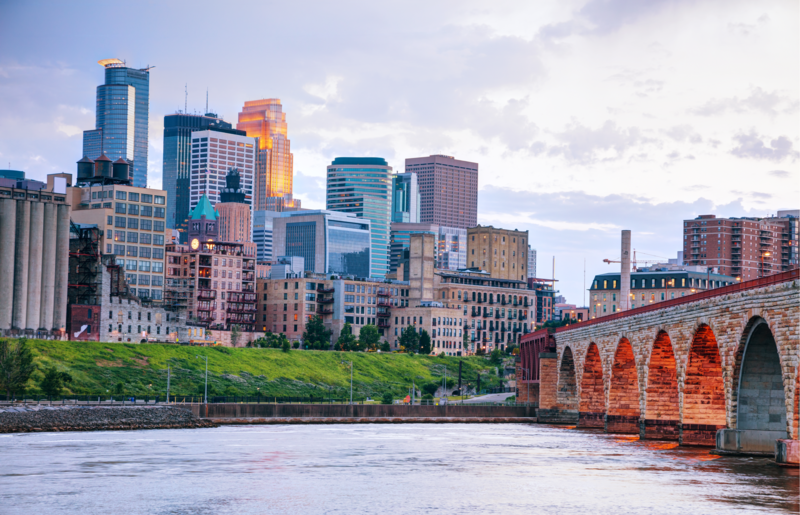 For the Mpls Downtown Improvement District (DID), implementing 24/7 Software’s platform was an easy decision after learning what else was available in the market. They needed something that was affordable for their nonprofit, easy to use and worth the effort for the staff who use it. Because 24/7 Software’s platform, inclusive of the Communicator App, was easy for both administrators and users – community outreach efficiency and effectiveness rose quickly. One aspect Shane noted about the Communicator App his team appreciated and leveraged, is that it works well on both Android and iOS devices. Shane also admitted that deployment of the system required coordination on their part. They were the first to deploy a robust platform for outreach collaboration, which meant they had to design a common language and standards for usage and communication—not a meaningless undertaking but well worth it in the end. “We created user agreements and guideline sheets we review with each person who uses 24/7 Software for outreach operations,” Zahn said. Zahn outlined an easy-to-understand breakdown of how outreach is conducted via 24/7 Software’s platform to showcase the real-time capabilities his team is afforded: 1) Outreach can enter incidents or engagements using the Communicator App, 2) The DID Safety Communication Center can dispatch incidents to outreach via the Communicator App on their cell phone, and 3) Real-time communication is happening with each occurrence using 24/7 Software’s IMS and Communicator App. Since implementing 24/7 Software, the Mpls Downtown Improvement District (DID) has realized improved coordination, real-time communication, and situational awareness for outreach efforts in downtown Minneapolis. “We also have significant analytical data for outreach efforts and impact,” Zahn said. In 2018, The DID will continue to collaborate with the following outreach partners who utilize 24/7 Software solutions for outreach operations: The DID Livability Team, St. Stephen's Human Services, YouthLink, MADDADS, and Summit Academy. The above outreach organizations had 8,134 service calls and engagement opportunities for 2017. Zahn pointed to some of the top service calls, which include 719 outreach contacts, 540 panhandling engagements, 266 youth outreach contacts, and 263 unsheltered assists. Outreach also made 1,078 business contacts, 1,619 directed patrols and completed 673 safety assessments for problematic areas. The Mpls Downtown Improvement District (DID) efforts did not stop at their outreach collaboration. Shane’s team put 24/7 Software to the test during Super LII. They were confident that the platform would help to improve situational awareness and safety coordination efforts with the private sector security which worked for the buildings in downtown Minneapolis. “The DID Safety Communications Center organized security checks to identify suspicious activity or hazards in soft target areas including the exterior of buildings, skyways, parking ramps/lots, and building roof access where Super Bowl LII events and activities were taking place in downtown Minneapolis,” Shane explained. Zahn said not all buildings do security checks, especially coordinated security checks, for special events in focused areas during particular times of the day. The Downtown Security Executive Group implemented a plan to leverage building security resources to assist in enhanced security measures for Super Bowl LII. Zahn said all of the risk indicators that 24/7 Software helped the teams manage: 9.5 miles of mostly privately owned skyways, 75 buildings with extended hours for skyway access, 30-plus downtown hotels, mass transit, Super Bowl Live open event and 5,800 media. For Super Bowl LII, 24/7 Software’s primary function was to help keep track of security checks by the security RadioLINK group and for documentation of suspicious activity reports via RadioLINK or Homeland Security Information Network (HSIN) Connect. Zahn is confident in the capabilities of 24/7 Software and what it would be able to help with during Super Bowl LII. However, he will admit there were processes needing improvement that surfaced during this event. “I am impressed that I am finding new ways to use 24/7 Software to improve safety operations, collaboration efforts, and leverage other resources for public safety within the Mpls Downtown Improvement District,” he said. After deploying 24/7 Software for Super Bowl LII, the Mpls Downtown Improvement District (DID) reported astounding success metrics. Shane highlighted that 70+ building security teams participated in its usage. There were 2,072 security checks completed, including exterior of buildings, skyways, parking ramps/lots, and roof access, during the times of 08:00-10:00 hours, 15:00-18:00 hours, and 22:00 to 01:00 hours daily, from January 22, 2018, to February 4, 2018.